Discover an entirely unique, healthy Snack Bar loaded with the ideal combination of Classic and Whole Grain goodness each in their natural form. 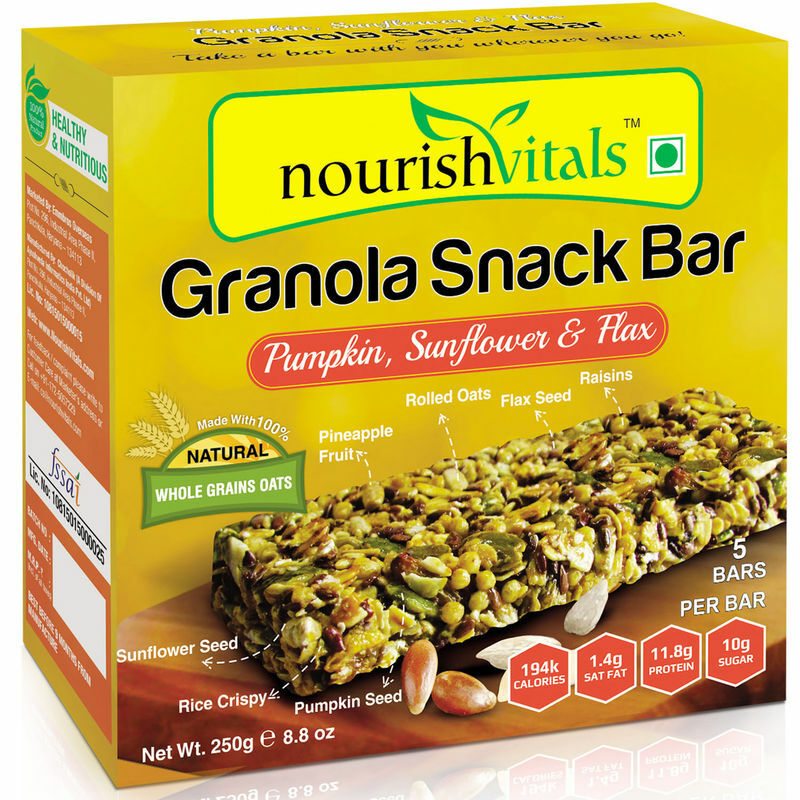 The Nourish Vitals Granola Snack Bar - Pumpkin, Sunflower & Flax Mix is a 100% Natural Snack that contains nothing artificial and is perfect to fill you up when you are on the move. 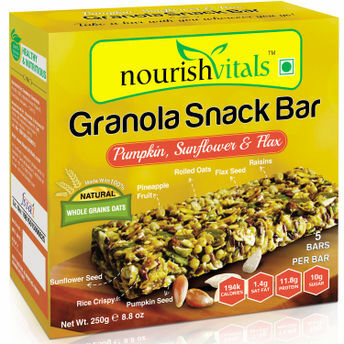 Enriched with Peanut Butter, Pineapple, Pumpkin Seeds, Rice Crispy, Rolled Oats, Sunflower, Raisins and Flax, it gives your body an instant burst of energy and provides your tastebuds a wholesome, fulfilling treat. It's high in Fibre and Protein while low in Saturated Fat to give you an invigorating treat of Quality Whole Grain anywhere, anytime. The combination of the contrasting flavours will both surprise and excite you, leaving you wanting more. The 100% Natural Snack - It's All Good! Explore the entire range of Nutrition Bars available on Nykaa. Shop more Nourish Vitals products here.You can browse through the complete world of Nourish Vitals Nutrition Bars .